Nusa Lembongan (Nusa = Island) is one of three neighbouring islands of Bali, approximately 12 miles from south east Bali and 20 miles from Lombok. The other two (2) islands are Nusa Penida being the bigger and Nusa Ceningan being the smaller. Nusa Lembongan is the most popular of the 3 islands across the Badung Strait (the others being Nusa Ceningan and Nusa Penida). The island is popular with surfers for the 3 breaks (Playgrounds, Shipwrecks and Lacerations), day cruise people and overnight tourists. Nusa Lembongan is only 4km long and no wider than 3km wide and takes 3-4 hours to walk around. There are motorbikes for hire in Jungkutbatu. 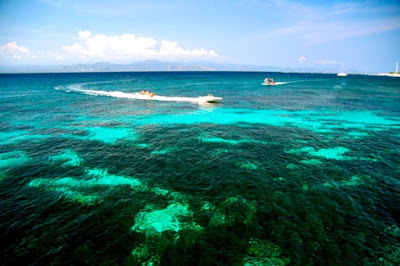 The reefs are enjoyed also by scuba divers and the snorkeling is awesome. Nusa Lembongan has several thousand locals, engaged in seaweed farming activities as well as serving tourist needs. Similarities to the Bukit Peninsula create a quiet environment, ideal for relaxation. Nusa Lembongan is a pristine tropical island, its highest point is 50 meters above sea level. 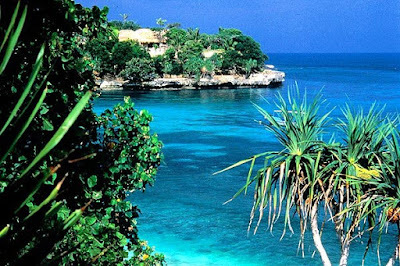 Lembongan has an average rainfall of approximately 1000 mm per year. Little temperature variation from 30 degrees Celsius occurs between the only two seasons this island experiences being the wet and the dry. The wet season is from December to February and the dry is from March to November. As it has only three months of rainfall, this island is dry for the remainder of the year. Little cultivation occurs, as almost 2/3 of the island is infertile. Seeding is normally done on the wet season and only corn, cassava and peanuts are farmed. Also found on the island are cashew nuts, mangoes and coconut. Fresh water is limited and most of the supply is derived from wells up to 60 meters deep. Nusa Lembongan is located on the Wallace line. Sir Alfred Wallace, a historic naturalist who conducted extensive studies of this area, determined the Wallace line. The Wallace line is still recognised as a biological division between Asia and Australia/Pacific. Many species of bird, animal and flora indigenous to Australia are not found West of this line, as the flora and fauna on the west ‘Asian’ side are not found to the east of this line. The ocean currents that funnel their way between these islands are rich in macrobiotic life that support abundant coral and fish life in shallow waters surrounding these islands. Public boats from Sanur beach, leaving daily at 8am and 10am (90 minute one-way, 35,000rp). Coming back the boats leave at 7.30am from Jungutbatu. Perama does a shuttle from Sanur, leaving at 10.30am and returning at 8.30am, for 50,000rp. It is possible to charter a private boat for 300,000rp. For people staying in Kuta, Perama has an office about 50 meters before the bottom end of Jl. Legian. Pop in and ask about their latest schedules and rates. Several luxury boat lines do day trips to Nusa Lembongan, dropping people of on the beach, giving them a bbq, snorkeling and then back to Benoa harbor. Companies such as Bali Hai have their own accommodation (Tide Huts) which can be booked in a package with the cruise. Call around for the latest deals and specials. Budget accommodation can be found at Jungutbatu, while more luxurious accommodation is located at Mushroom Bay. Nusa Lembongan has no post office but Perama can handle your mail as long as you have stamps. Most places rely on the 3pm-8am locally generated electricity, with high-end places having their own generators. It is advisable to bring plenty of rupiah with you. Perama and Bank Pembangunan Daerah Bali can change currency and travelers checks, though the rates are not so good. A local doctor in Jungutbatu will charge you 300,000rp for a consultation. There is a small nurse’s clinic in Jungutbatu also which is cheaper. There should be no shortage of places offering snorkeling, surfing and cycling gear. 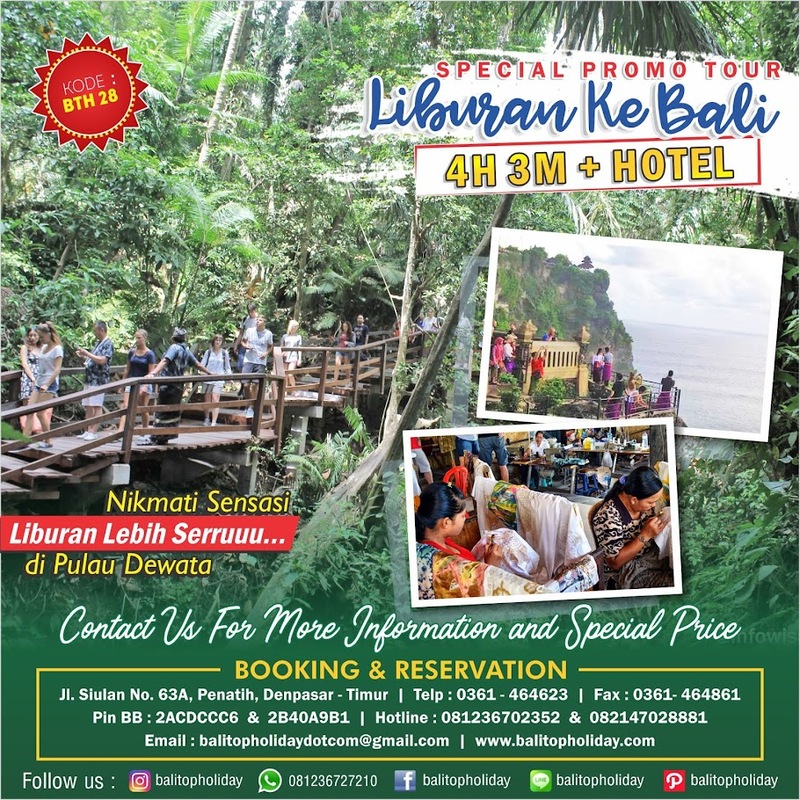 Negotiate if you want a good price You might try Ketut’s Bungalows and expect to pay something like 35,000rp for a bicycle per day, 30,000-40,000rp for snorkeling gear per day and 40,000rp per hour for motorbikes. 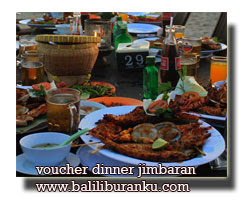 World Diving located on Jungutbatu Beach at Pondok Baruna, can do PADI courses and pleasure dives. Contact the website for current prices and deals. 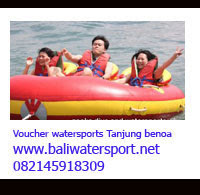 You will also find other operators in Jungutbatu Beach. You can join a diving trip with World Diving, if you just want to snorkel, for a fee. This is a smart idea as you have the security of the boat. Other boat operators might charge 40,000rp - 60,000rp per hour. Jungutbatu Beach has good spots for snorkeling off of the beach. There is a wartel (phone office) that also has internet located at Mainski Inn. Bunga Bungalows also has internet access. Connection speeds for Nusa Lembongan are likely to be awful, given the speeds back on the mainland for anywhere outside of Kuta / Seminyak / Ubud. Most hotel / guest houses have some kind of restaurant attached. The cheaper the accommodation, the cheaper the food. Plenty of options and Jungutbatu is where you’ll find the deals.